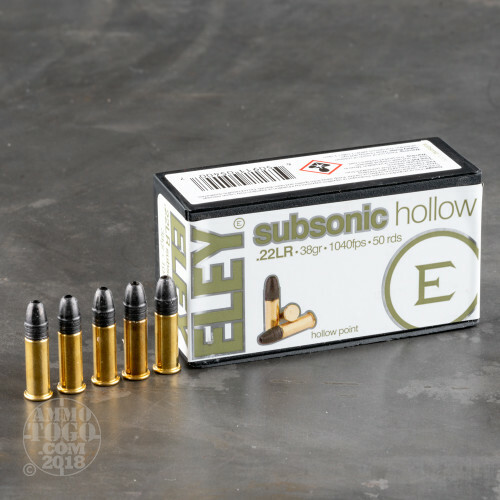 This is .22LR Eley Sub-Sonic Xtra Plus 40gr. 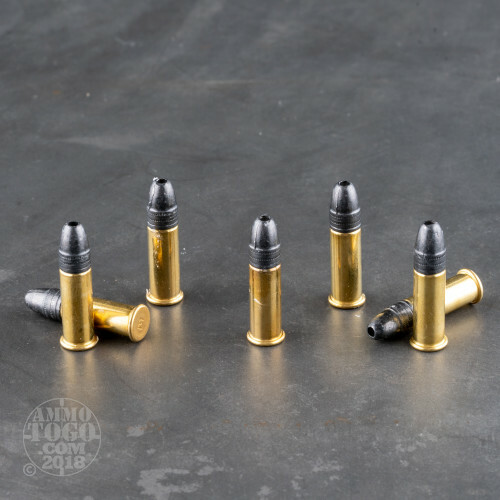 Lead Hollow Point Ammo. This ammo is manufactured by Eley in England, so you can be assured that it is premium quality ammo. 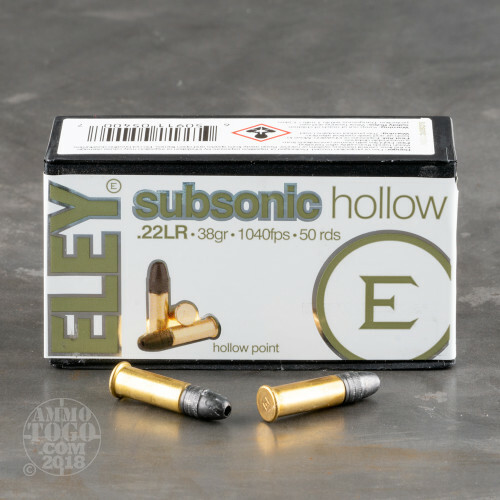 The Eley Sub-Sonic Xtra Plus Ammo is a lower velocity hunting cartridge with target accuracy. It has a very reduced muzzle report and a special lubricant for cleaner, more dependable operation in semi-automatic rifles. It travels at 1085 fps and has 105 ft. lbs. of energy at the muzzle. Eley .22LR ammo is considered to be the best in the world and has won more medals and set more records than any other .22LR ammo to date. It is also used by more olympic shooters than any other .22LR ammo. 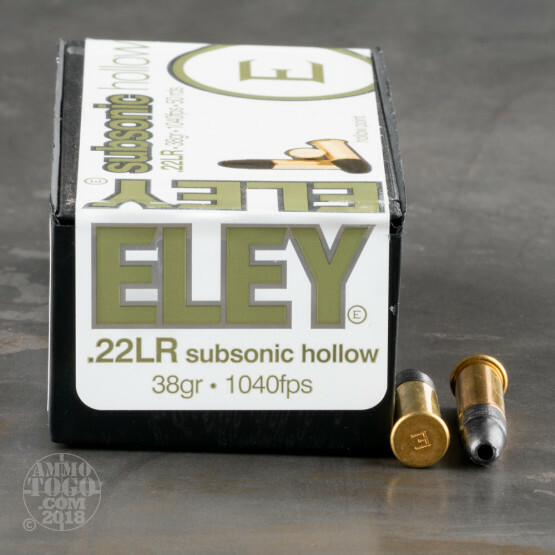 When you want the best, shoot Eley ammo. This ammo is packed in 50rd. boxes.